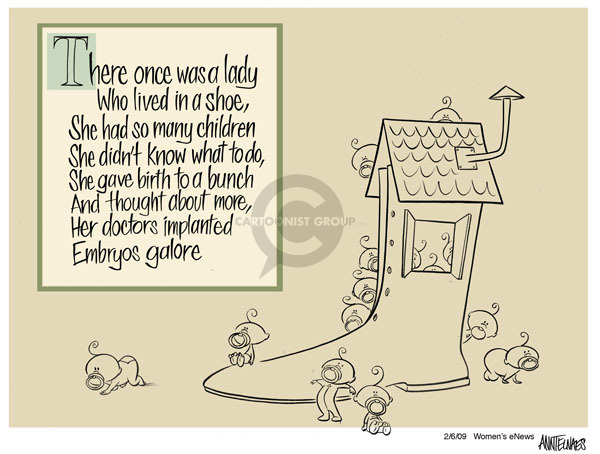 baby, birth, bunch, child, childcare, doctor, editorial, editorial cartoon, family, infant, irresponsibility, irresponsible, lady, maternity, mom, mother, newborn, physician, political family, pregnancy, thought. Search Ann Telnaes' Women's eNews Cartoons using keywords and more! Access Ann Telnaes' Women's eNews Cartoons by alphabetical subject.